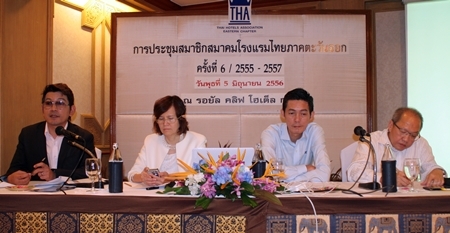 The Thai Hotels Association – Eastern Chapter has advised Pattaya resorts to refuse to pay higher wastewater-treatment rates being imposed by the city. 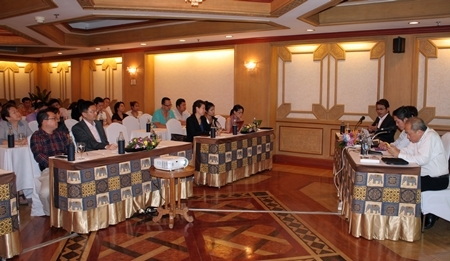 At a July 5 meeting at the Royal Cliff Beach Resort, THA Eastern President Bundarik Kusolvitya recommended members continue to pay 2.5 baht per cubic meter of wastewater until the city Public Health and Environment office completes its review of the proposed 80 percent increase. Many large Pattaya hotels have built their own wastewater-treatment facilities on-site, tremendously reducing or eliminating water that must be treated at city facilities. Pattaya, however, continues to charge them for water treatment. To offset the redundant charge, city hall has allowed hotels to pay 2.5 baht per cubic meter rather than the official per cubic meter rate. 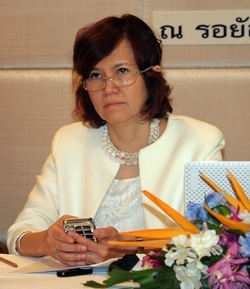 Bundarik Kusolvitya, president of THA-EC. Faced with the costs of building a new wastewater-treatment facility, however, city officials have told the THA they will end the discount and require hotels to pay the legal rate. 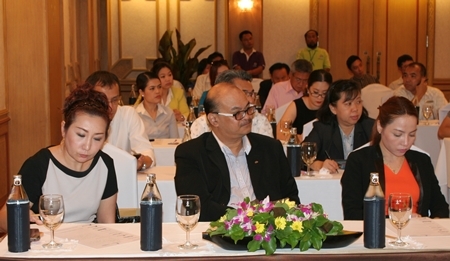 Bundarik argued that this was unfair, as hotels already have their own facilities and recycle treated water for other uses, such as filling ponds and watering gardens. Bundarik said the association has petitioned to city to continue charging hotels the lower rate or, at least, base rates on the actual amount of untreated wastewater collected. She told members, however, that officials so far have refused, saying the additional funds are needed to cover construction costs for the new plant. The final decision rests, they said, with the Public Health and Environment’s pollution-control office, which is reviewing the matter with the Provincial Waterworks Authority.